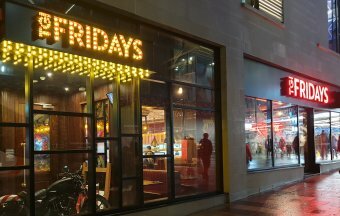 We are delighted to announce that we have again been chosen by TGI Friday to supply brass stair nosing with a black anti-slip castellated infill for their brand new restaurant in the Intu Watford development. The new restaurant forms part of the massive 400,000 sq ft £180 million redevelopment of the Watford Intu and they join other prestigious brands such as John Lewis, Apple and Kurt Geiger. 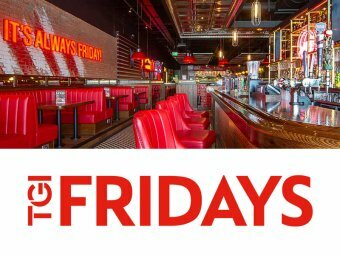 We were approached by the TGI Friday project team as we have already supplied brass stair nosing at some of their other restaurants including Leeds, Bracknell and Glasgow. 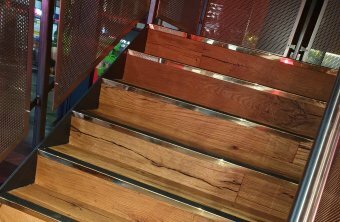 The Watford Intu development required us to manufacture 30 bespoke cut brass stair nosing which were drilled under the infill with the infill supplied loose which provides the stair nosing with secret fixings. The project was on a tight deadline, so we were able to manufacture the stair nosing within just 7 days and then, as part of our focus on customer service, we personally delivered them to the store ready for their construction team to fit. We believe that this personal service and attention to detail helps us retain the large part of repeat business we enjoy. TGI Friday were able to find their exact requirements for their stair nosing as they were able to choose from one of the 17 infill colours in both "smooth textured" or "castellated". In addition there was the choice of finishes available including polished and satin brass, antique bronze and antique brass, satin nickel. With is wide range of choices, they were sure to find the perfect match. We hope that this case study highlights the proactive approach we have to customer service whilst offering such a wide range of stair nosing options that everyone is able to find their exact requirement. If you have an upcoming project and would like to have a chat about how we can help you, please call us on 0208 866 8664 and we’ll be delighted to help you.